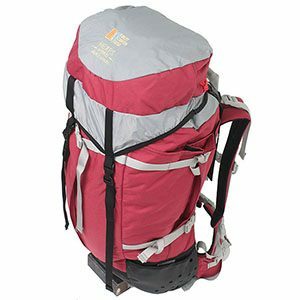 A 42-liter internal frame canyoneering-specific pack, the Heaps is the Big Kahuna of Imlay’s line, offering excellent comfort AND canyoneering compatibility like no other! 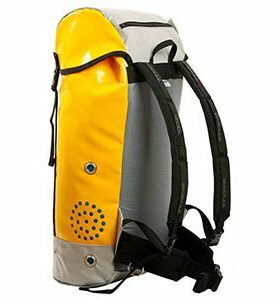 Big enough for long day-canyons carrying a wetsuit and too much other stuff, or for lightweight overnights! These Hybrid packs feature perforated PVC-laminate fabric on the highest abrasion areas – the bottom and the bottom of the sides. The pleated outside pockets have been enlarged, and there are now pockets on both sides and the back; a bit more space. 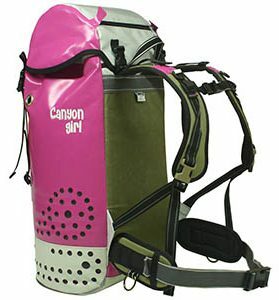 Great new colors on this full-suspension canyoneering pack!